Review and Unboxing of the Atlas Yoyo. The Atlas Yoyo: History, Unboxing, and Review Yoyo TrickThe Atlas yoyo was used by Jake Elliott to win the World Yoyo Championship in 2015. It features an extra wide design, and it is great for players who are interested in either 1A or 5A style play, who are looking for something a little bit different to step up their game. So, it is about 4 weeks before the World Yoyo Contest in 2015, and YoYoFactory sends us this box of prototype yoyos. It was a bunch of really weird stuff, there was the Turntable in that batch of yoyos, some other odd prototypes, and the yoyo that eventually became the Atlas. 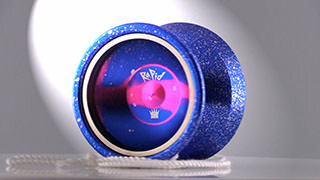 I had designed a yoyo to compete with at Worlds, but YoYoFactory was not able to get the prototypes ready in time. Seriously, they were working on it for like a year and a half. Instead, they sent us this box full of really weird stuff that we even didn’t ask for. There was this really wide, unengraved, pink yoyo, just one prototype, and all of us tried it, and it was kinda fun and interesting, but really none of us gave it that much thought. 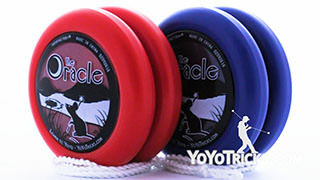 It’s three weeks before Worlds, the pressure is on, and I do not have a yoyo that I am comfortable competing with. Jake was getting frantic – He was throwing counterweights on everything just to find something that would work. I guess it was only a matter of time before his Ultraweight found its way onto that pink yoyo. over my head when it comes to trick difficulty. I found that the extreme width helped me hit my tricks more consistently, but there was a problem – the gap was too narrow. With the Thick HighEnd string that I had been using, it was just too snaggy. So I said to Jake, why don’t you just try thinner string? I tried it with Regular HighEnd string, and the response level was perfect. I found that the Atlas had the speed and the control that I needed to hit my tricks comfortably, and the extra width dramatically increased my success rate. So asked Jake if he was committed to using it to compete with, and he still wasn’t sure. He said it didn’t quite have the same spin power he was used to. advantageous side effects of making my triceps totally ripped. His triceps did not change. I needed to buy new shirts. There was no change in wardrobe. 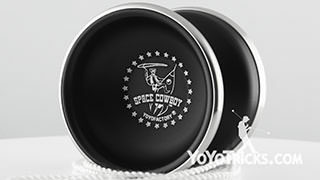 Skip a few weeks, I’m in Tokyo, and I am talking with Ben McPhee from YoYoFactory, and I tell him “Ben, I am using that extra wide, pink prototype to compete.” He looks at me like I’m crazy. I ask him “If I use this yoyo, and I win with it, I get to name it, right?” Still with that “” look on his face, we shake hands and we make a deal. I was not in Tokyo, but I know Jake. 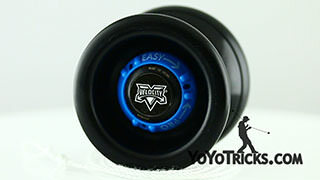 He would be too focused on winning to think about business, so I cut a deal with YoYoFactory. 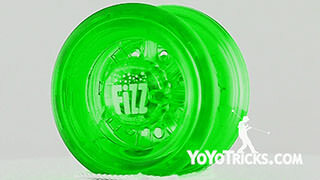 “If Jake wins, this yoyo is going to be an exclusive yoyo for YoYoTricks.com.” I even pitched them a name for the yoyo. As if it was even his decision to make. When you get an Atlas, this is what you will receive. You will get the Atlas in this nice tube that is laser engraved with the logo. You will also get the Ultraweight, which is the machined delrin counterweight that Jake used to win the World Yoyo Contest on the Atlas. If you want to know more about the Ultraweight, you can always watch our video how to string a counterweight. We teach you how to set it up for use on your yoyos and we also go into a lot more detail about what makes this counterweight particularly special. Now, when I hear people say that, I definitely understand where they are coming from, but it also reminds me a little bit of the year 2001. 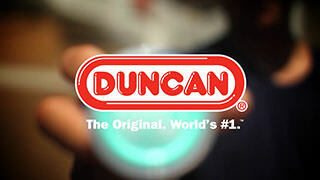 Back then, Duncan came out with the original plastic Freehand yoyo. And it was the widest yoyo that had been made up until that time. 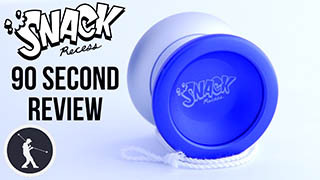 A lot of us, when we tried it for the first time, we thought, “Wow, you know, when I am trying to hit my tricks, I am going to go for a Double or Nothing, and instead of just hitting the outside string, I am going to accidentally land it on all three strings, because this thing is a beast. 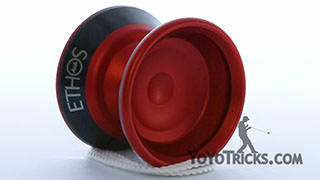 It is just so wide.” This is the yoyo that we were talking about. If you want to really put it into context, you can see, this is the Freehand. Now, to be completely straight, when we first got the Freehand, a lot of times, we were hitting multiple strings when we did Double or Nothing, and we did have to adjust our technique. 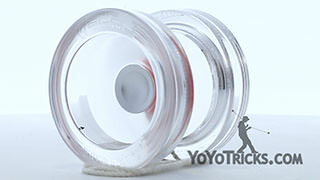 But once we got used to it, there were so many advantages to having a wider yoyo, and you can see that the trend has been continuing to get wider, because we continue to see that extra width helps our tricks. We feel like the Atlas is kind of the way things are moving. 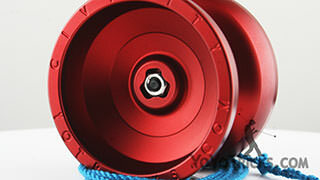 That yoyos just kinda continue to inch forward, getting a little bit wider, and the Atlas is kind of taking a leap. 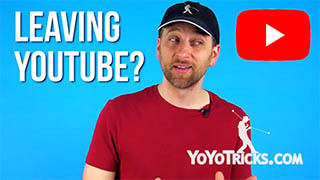 So it will take a little bit of an adjustment to get all that you can out of this yoyo, but we definitely think it is going to be worth it, and that is what this review is about, is figuring out how to get the most out of this yoyo. Before I go too far, I do want to point out that we are talking about the current version of the Atlas. We made two small changes after the first run, the first one is that we made the gap width just a tiny tiny bit wider. The reason we did that we actually mentioned in our History portion of this video, is that when Jake used it, he had to use regular HighEnd string even though he preferred to use Thick. That is because the gap on the original Atlas was just a little bit more narrow than most yoyos. So we made this a more standard gap width, and that solved that problem, so that if Jake were to compete again, he would be about to use the Thick HighEnd String that he likes. The other thing is, we changed the finish. 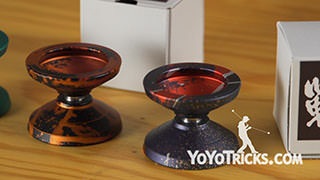 YoYoFactory has started doing what they call a new matte, or a new blasted finish. It is a lot softer, it grinds super well. It just feels really, really good. 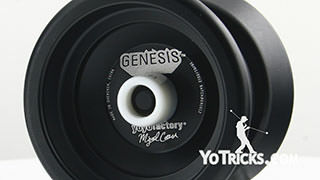 So they have been putting that on a lot of their premium yoyos, and we are able to get them to put that on the Atlas as well. And so we just feel like those two changes are just a wholesale improvement, and we are really happy that we were able to get those on the Atlas. When you get your Atlas, and you take it apart, we were able to put the pieces in it that we really like to have in yoyos. First of all we put in the blue response pads, which are a little bit grippier than your standard response pads. We really like that both for 5A and for 1A, because you get tighter binds using those. Those response pads also last a long time. We also fitted it with a Center Trac bearing, which again is great for all the different types of advanced tricks that you would want to do with an Atlas. So if the first thing you notice about the Atlas is its width, the second thing that you are going to notice is its weight. 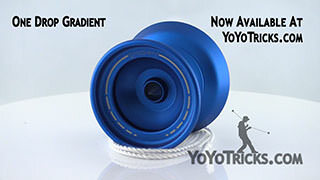 It comes in just over 65 grams, which is on the lighter side of yoyos, but because that weight is spread out over such a large design, it actually plays even lighter than you would expect is to just based off of the weight. In terms of actual play, it is going to play really light and really quick. One of the nice things about it is that it responds to even the slightest effort. Wherever you want it to go, it just does it immediately. 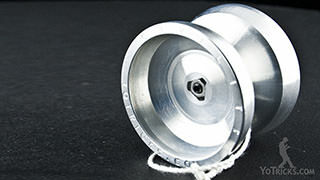 It has got a really nice, unusual feel in that sense because it is a large yoyo and yet it is really, really responsive to what you want it to do, it does not resist you a whole lot. If you want to think about the weight distribution, the weight is really spread out over the whole design. In order to achieve this finger spin area, which I will talk about a little bit later, there is going to be some center weight. 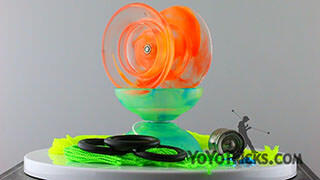 What center weight does for yoyos is it helps the yoyo stay on plane whenever you are doing tricks. This is really good for body tricks. 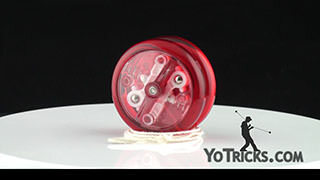 It is really good for speed combos because the yoyo stays in that same plane really well. It is also really good for 5A because you always want to keep that yoyo on the same plane while the counterweight is bouncing around and doing its thing. Now, the rest of the weight is in two key areas. The first one is on this ridge right here, if you were to feel inside the yoyo, then you will notice that this is just a little bit thicker. Then of course it has also got rim weight as well. 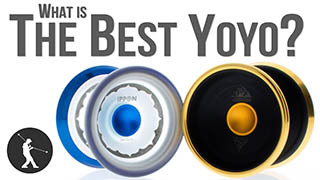 A trend in yoyoing right now with yoyos, especially with Bi-Metal yoyos, is to put as much weight onto the rim as possible. The reason that you want to do that is because it makes the spin really really powerful. 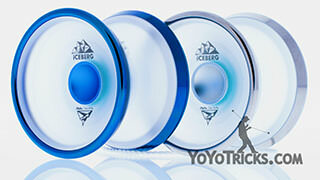 It makes the yoyos really tilt resistant and feel a lot more stable. When you are playing with the Atlas, you are not going to feel that same sense of power. So what the Atlas does instead is it uses its width to achieve the same things, but in completely different ways. Let me show you what I mean by that. 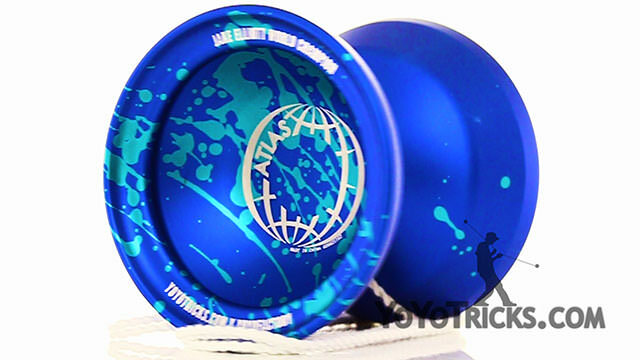 If we put a string onto the Atlas, because it has got kind of a lighter, quicker design, lighter and faster yoyos have a tendency to be a little bit more tilty and respond a little bit more to tilt when the string is pushing into the sides of it. So the Atlas uses its width to compensate for that problem. 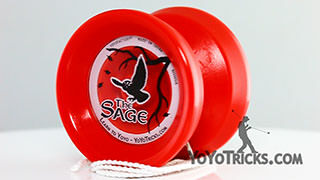 If you look at the string, you can see that you have to get pretty far off plane before you hit this ridge on the yoyo. If the string is only hitting the yoyo down here, it does not really respond to tilt all that much. 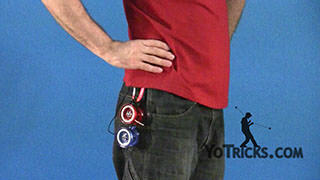 But as soon as you hit this ridge right here, then the yoyo will start to tilt on you. As you can see, you can get really, really far off plane and it does not really matter what type of trick you are doing, it is pretty rare unless you are doing it on purpose that the yoyo string is going to get that far off the center of the yoyo. What that means for the Atlas is that even though it is light and fast, at lower RPMs, it is really, really stable because you almost never hit this part of the yoyo with the string. So even if it is not going to spin as powerfully as some yoyos, at slower spins you can still get a lot of your tricks out without risking the yoyo toppling over and the spin dying on you. It is just a little bit of a different experience and it does not take too long to get used to that. 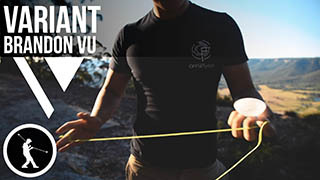 So when you put all of these things together, what you find is that because it is light, and because it is fast, and it quickly responds to movement and it is tilt resistant, it is super super good for 5A. That was what Jake noticed when he first started using it and he was practicing for Worlds. That width allows you get all of your strings in it, it allows you to keep things lined up, that little bit of center weight keeps it on plane which is really nice. But when you get into 1A, it also has some unexpected and really nice characteristics, especially when you are getting into horizontal play. 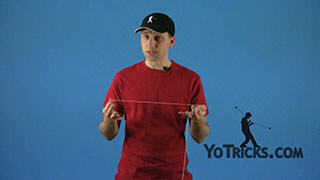 Because the string has to be so far off of the center before the tilt starts to change, it is really easy to lock it in at the angle that you want and do all of your different tricks. But if at some point you do want to change the lean on the yoyo, you just have to go off plane just a little bit more, and immediately the yoyo will adjust. 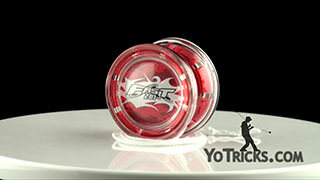 Again, for horizontal it is always nice to have a yoyo that is really fast and really responds quickly to your movements. So just because of all of those different things, the Atlas just comes together and you just get an experience with horizontal that you just can not get with a regular width yoyo. That is just another one of those things that makes this yoyo really really special. The last thing I want to talk about in the Atlas is its ability to do finger spins. A lot of things actually come together in this yoyo to make it particularly good for finger spins, both for learning them, and for executing more advanced tricks. That is why we used the Atlas to teach How to Do Finger spins in our Finger spin Tutorial video. When you look at it, the first thing that you will notice is that is has got a dimple right in the center. 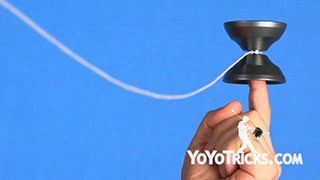 What that is for is if you are able to catch the yoyo right in that dimple with your finger, you are going to be able to execute really really long finger spins without having perfect technique. Right before this video I just wanted to see how it would go, and so on my first throw I was able to hit a finger spin for over a minute, because I got it centered on there. It is really just that simple. It is a nice feature. Now, the second thing is, this area right here where you typically catch the yoyo and where, if you are not centered, this is where your finger is going to end up. It has got a really small diameter. Like we talk about in our finger spin video, the smaller the diameter where your finger is, the longer your finger spin tricks are going to last. 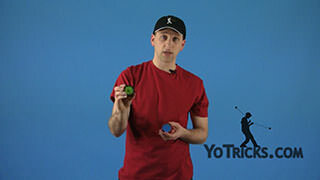 So even if it is not centered, or if you are doing multiple repeated catches or whatever it is you are doing with the yoyo, because it has got a small diameter, you are still going to have really long spin times when you are doing those tricks, which is great. Now, the third thing is this opening is really wide, so it is not too hard to catch the yoyo, but it is also really really deep because the Atlas is so wide. 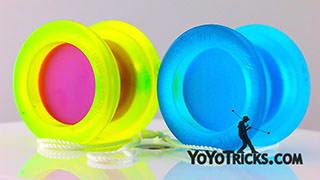 Not only is it easier to catch, but if you are doing more advanced tricks where the yoyo might fall off your finger with other yoyos, the Atlas, because it is so deep, it is easier to keep your finger in there so you can push your tricks a little bit further. Now one thing I do want to note is we do have come laser engraving in here. When you are first using a brand new Atlas that will feel a little bit rough when you are doing finger spins. What I have found when I get a new Atlas is that it usually takes a couple of hours or maybe even a day or two for that to break in and feel smooth again. Once it is broken in, it will not bother you at all, honestly. It just kind of is like it is not even there. So just give yourself a little bit of time as you are practicing, eventually that will wear in and it will be just fine. So when you put all of these different things together, a great finger spin area, you have got that nice width and so if you are a new player, you can learn your tricks a little bit easier and you can make your tricks a little bit riskier. You have got that light weight that is really easy to control so that is good for 5A, it is good for horizontal style play, it is good for speed combos, You have got its unique ability to deal with tilt. All of these things come together to make a very unusual package, and I will be honest, when we first tried the Atlas, most of us did not take much notice of it, we thought it was kind of quirky and kind of fun, but it was not until we really spent some time with it that we were able to see that wow, this can really take you to some new places. And that is actually why we called it the Atlas, because we feel like once you figure out how to use it and what it is capable of, it can take you to places that you have never been before.